I had heard so many rave reviews about Trolley Bags, but always thought how can they be SO much better than your average bag for life? Well they are more than just bags, they are more like a clever little system. We do most of our food shop at Aldi and everyone knows that the checkout system at Aldi is questionable. Your goods are practically thrown at you and you have to refill your trolley and pack near the windows after you have paid as allowing you to pack your bags at the till takes up more time and holds up queues. Now by shopping in Aldi you accept that. Your shopping is half the price of elsewhere and you would rather have a rushed checkout experience and save money. 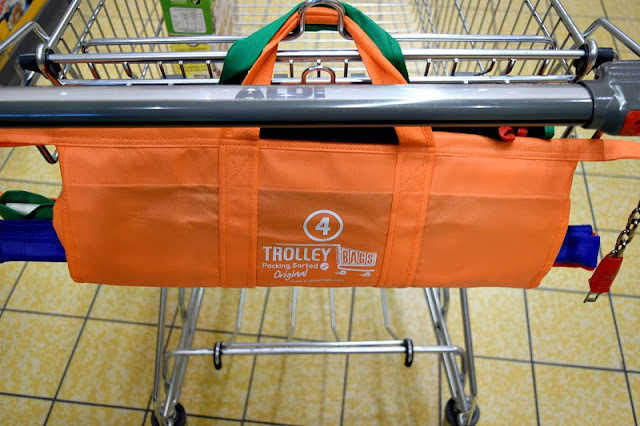 So when we did our food shop this week, we took along our new Trolley Bags. They hang nicely on the back of the trolley, if you don't have a child in the seat. We ended up popping ours inside the trolley as we didn't need them until the end of the shop and we could keep Elsie securely in the trolley seat. We filled our trolley with everything we needed for the week then headed to the checkout. Once everything was on the belt, I attached the biggest bag to the back of the seat and pulled them all across so they were all open ready to pack. 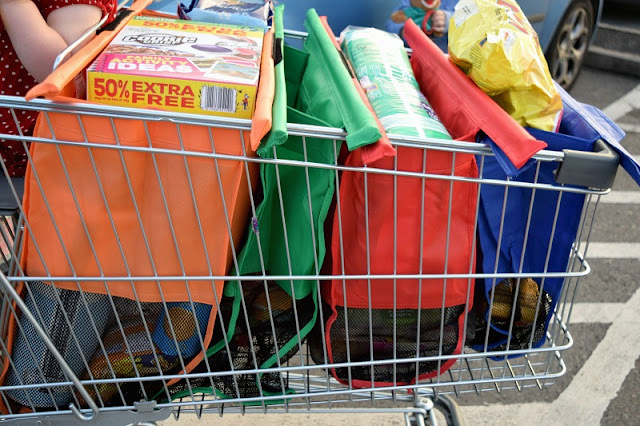 We used each bag for a different section of food, one for fridge food, one for frozen food, one for anything soft or light and the last for the few heavy items and vegetables. 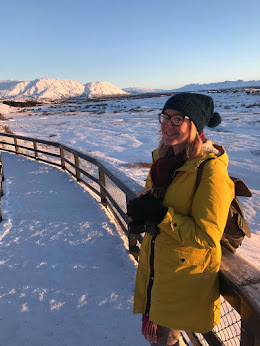 With both of us packing we had two pairs of hands and so we kept up with the lady on the checkout, for probably the first time ever. We didn't need to hold or adjust the bags as they stayed exactly where they were put and it was as easy as that. It was nice to be able to pay then go straight to the car, walking past the chaotic window area with people still bagging up their shopping. It made a shopping trip with three small children so much easier. As you can see from the photo above, Having Elsie in the seat did leave less room than usual but we found that the bag with the least amount if items just ended up closing in slightly to make room for the others. Without a child in the seat there would be much more room but it didn't bother us at all. The trolley bags are attached to each other using Velcro, so you can unstick them to put them in the car. The material is thick and strong so even when full they don't feel like they would break easily. When not in use the bags can be stored together and the largest bag fastens around the others for compact storage. They come in two different sizes for both deep and shallow trolleys. 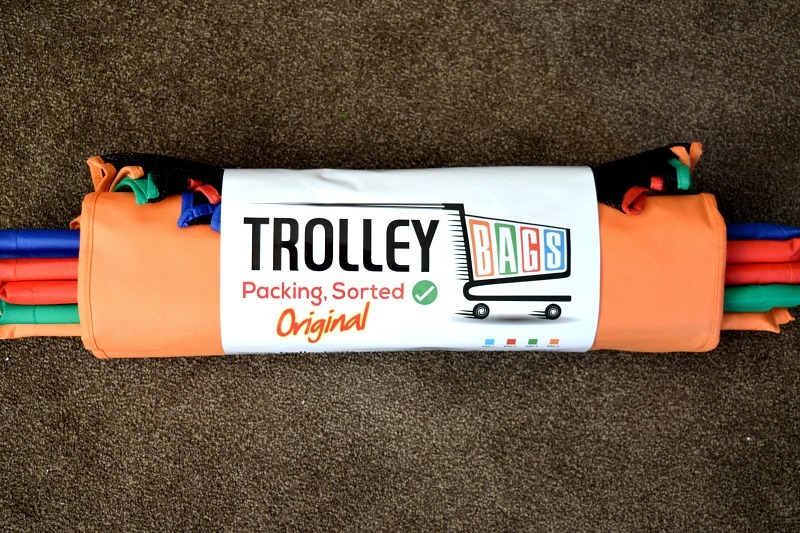 The Trolley Bag Original costs £19.99 and are available to buy here.